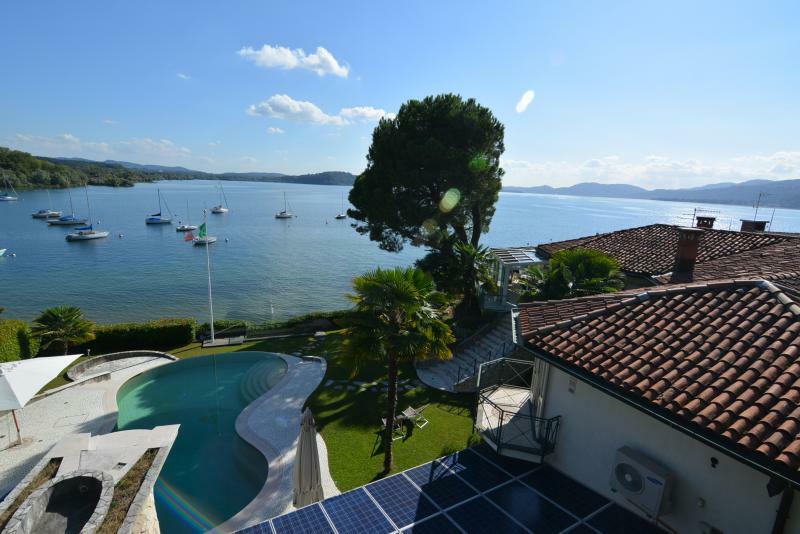 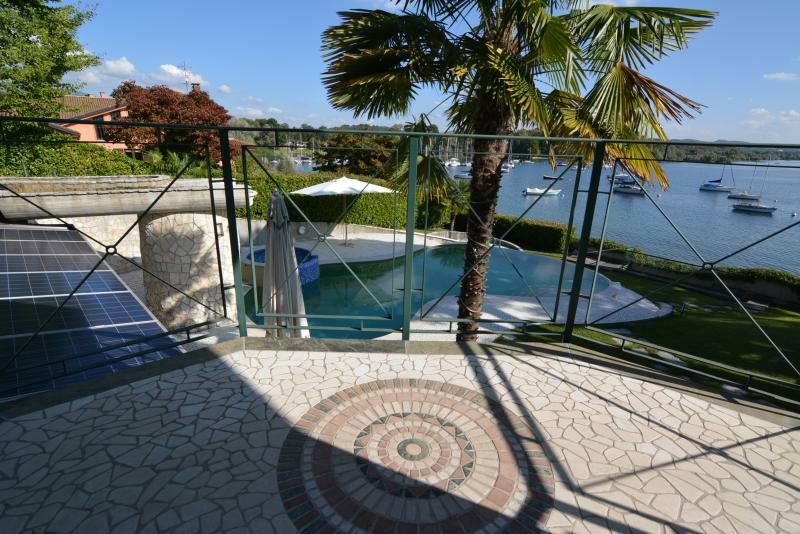 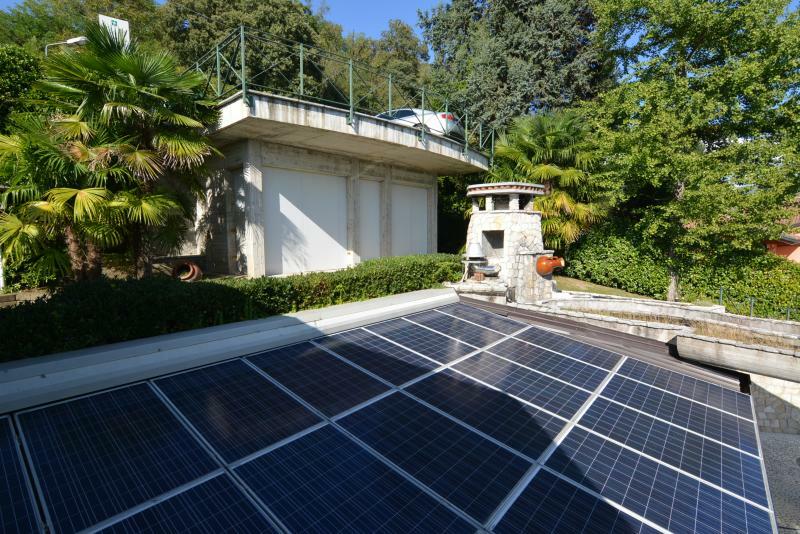 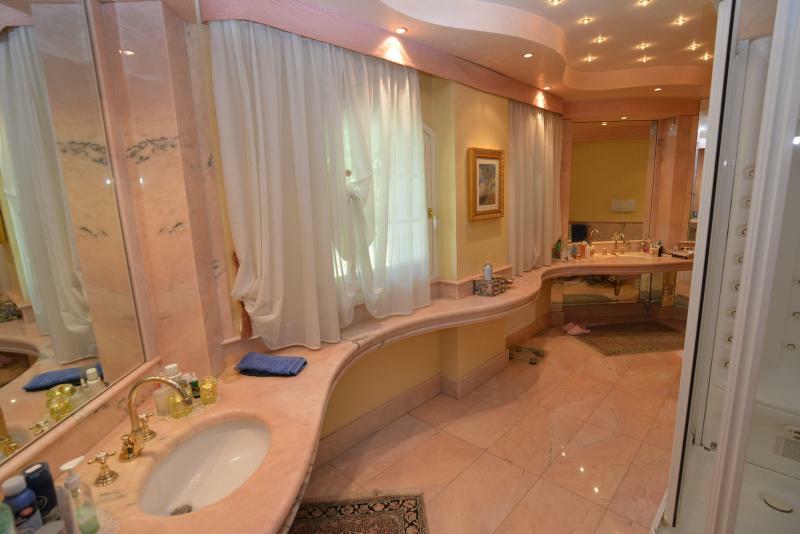 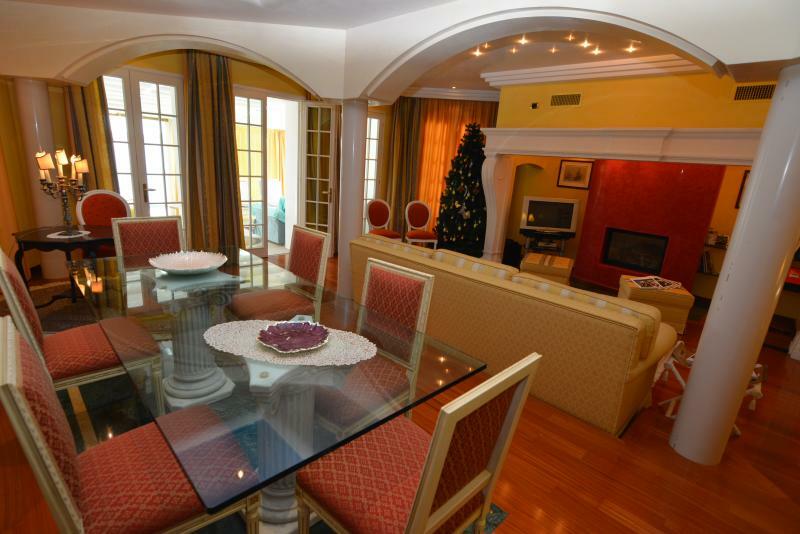 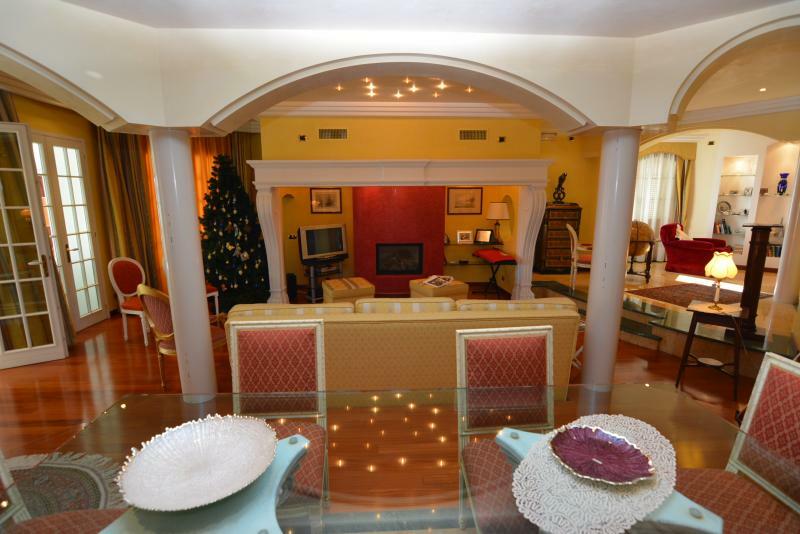 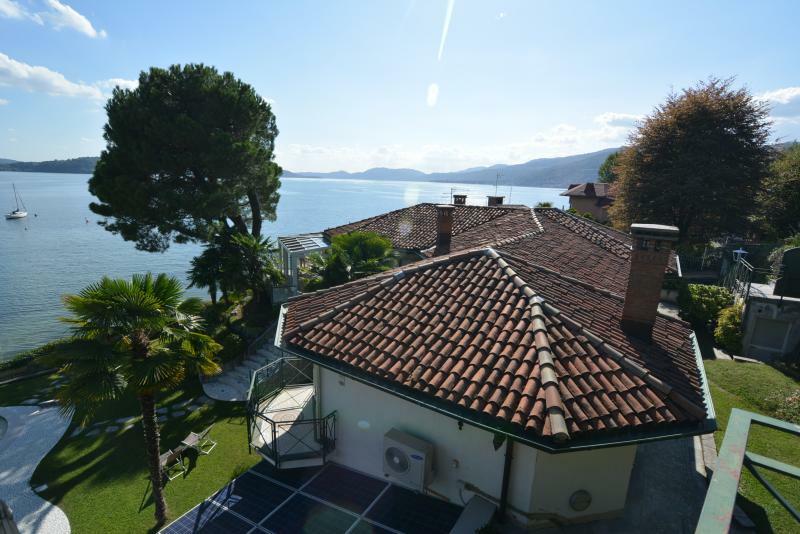 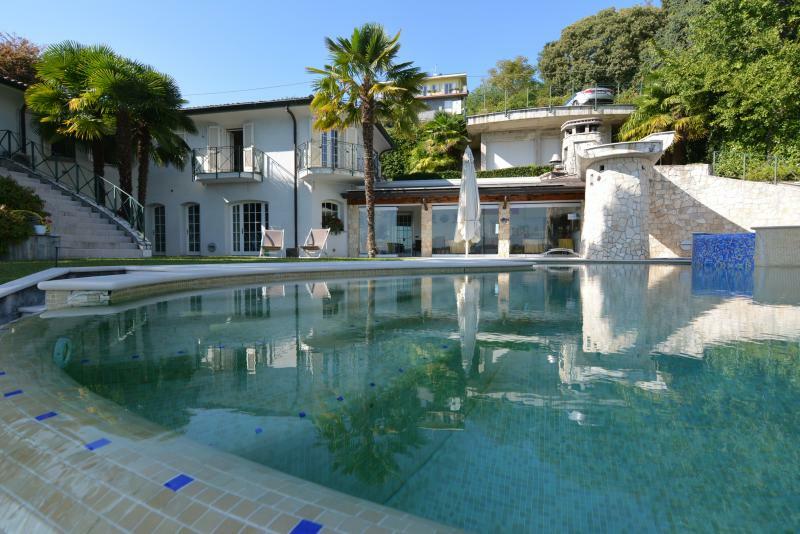 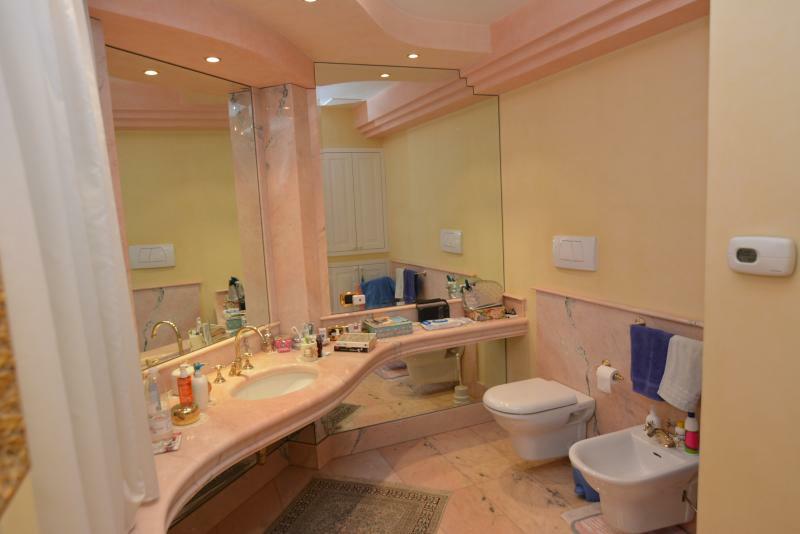 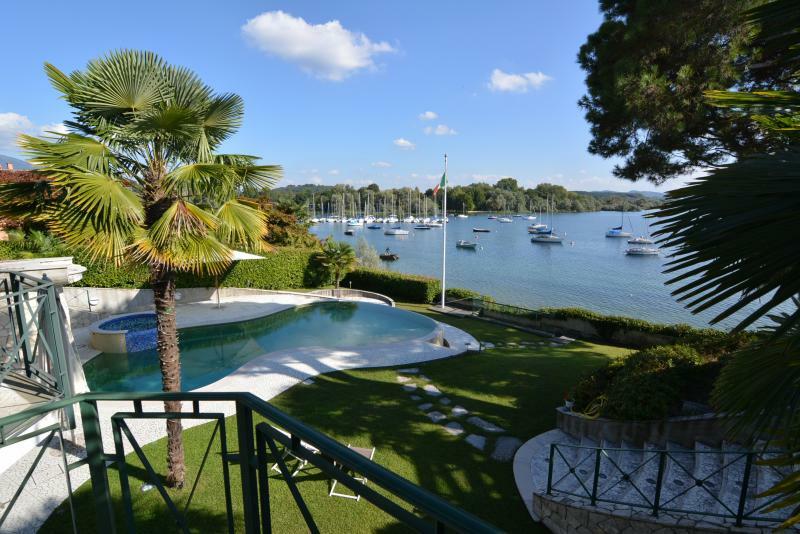 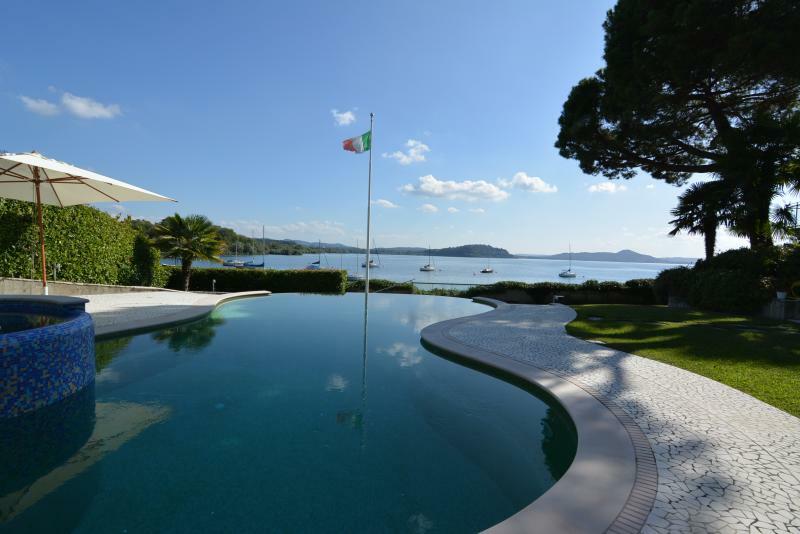 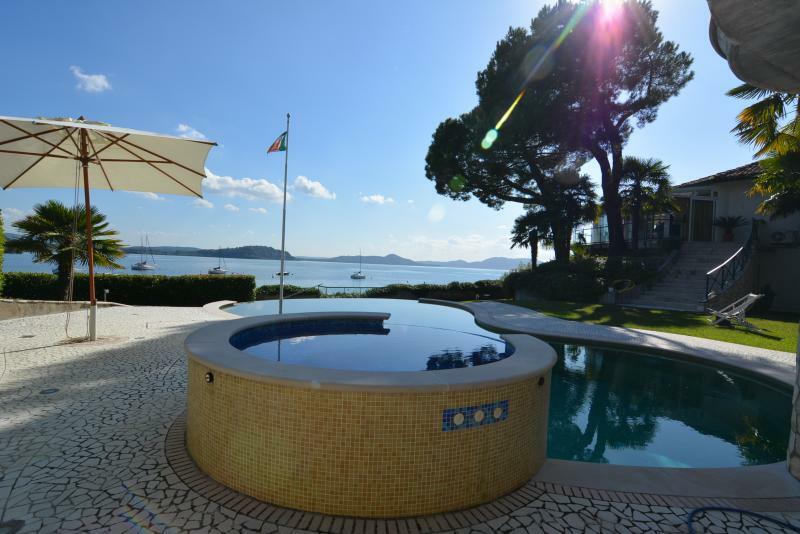 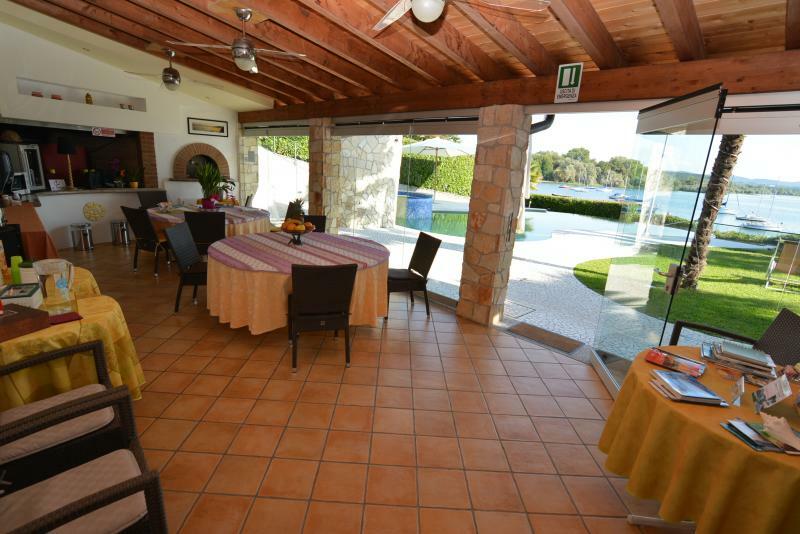 Elegant 400m2 villa directly on the lake with swimming pool and boat storage. 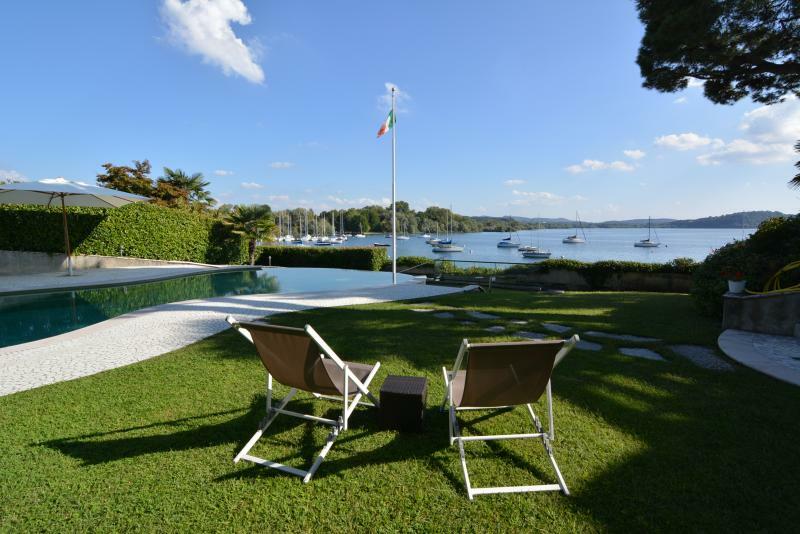 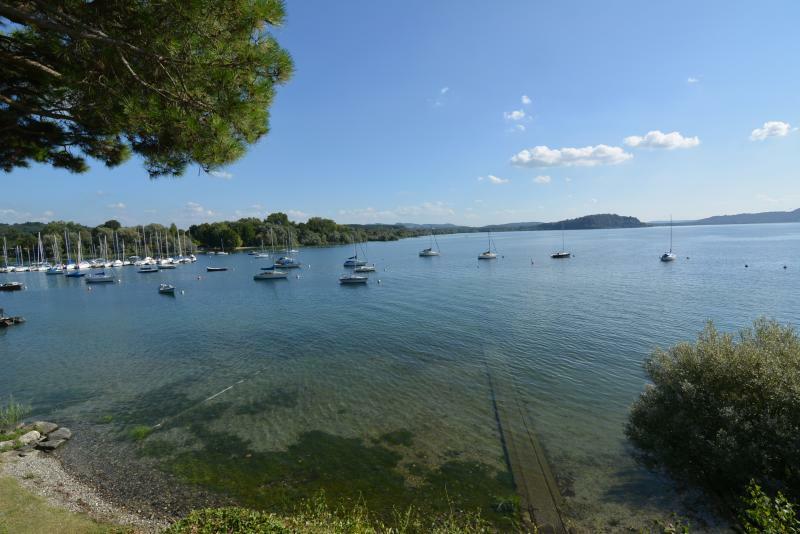 The property, prestigious and enchanting, is located between Angera and Leggiuno in a quiet, sunny, panoramic position not far from the charming lakeside villages with services and supermarkets. 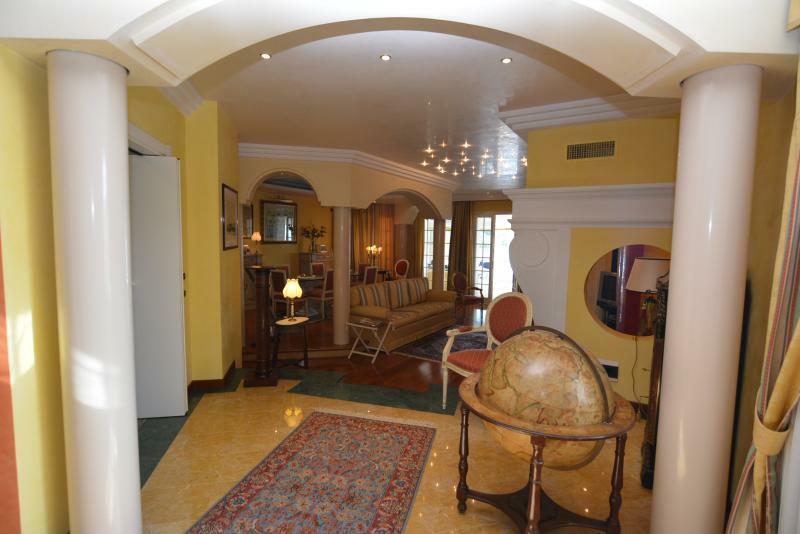 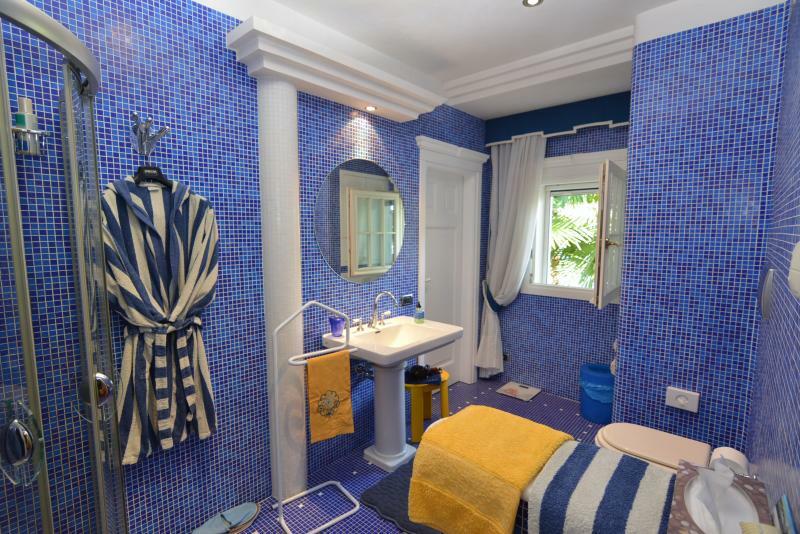 The property has recently been the subject of careful restoration, high quality finishings including mosaics, parquet and high quality marble. 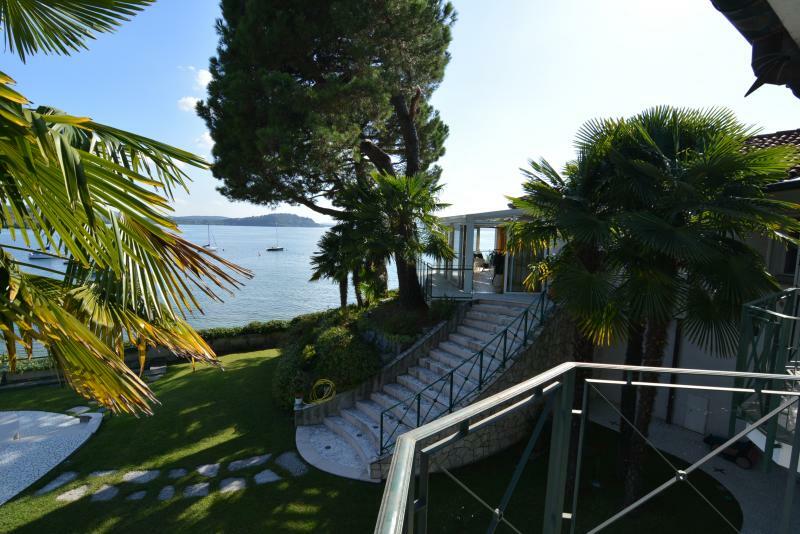 The beachfront villa has a berth in the nearby sailing club as well as its own boat storage. 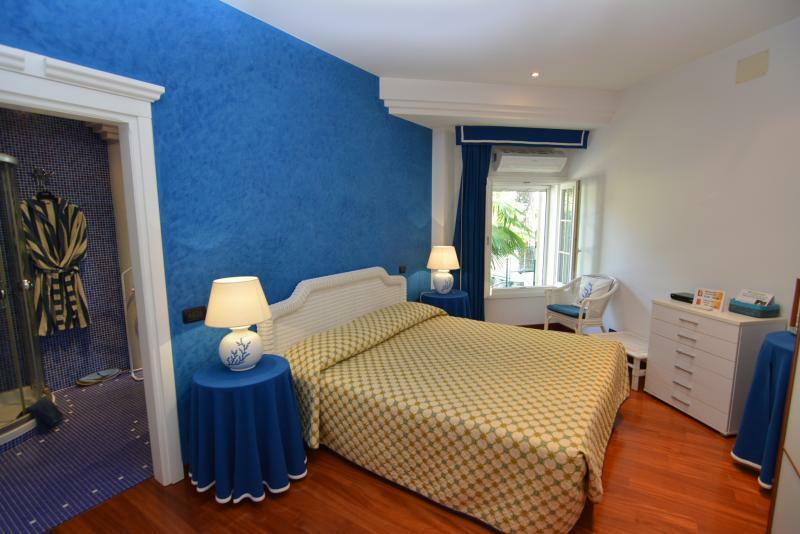 Laid out over two floors we find on the upper floor: entrance hall, large living room, dining area, kitchen, veranda, bedroom with bathroom and double bedroom with balcony and bathroom. 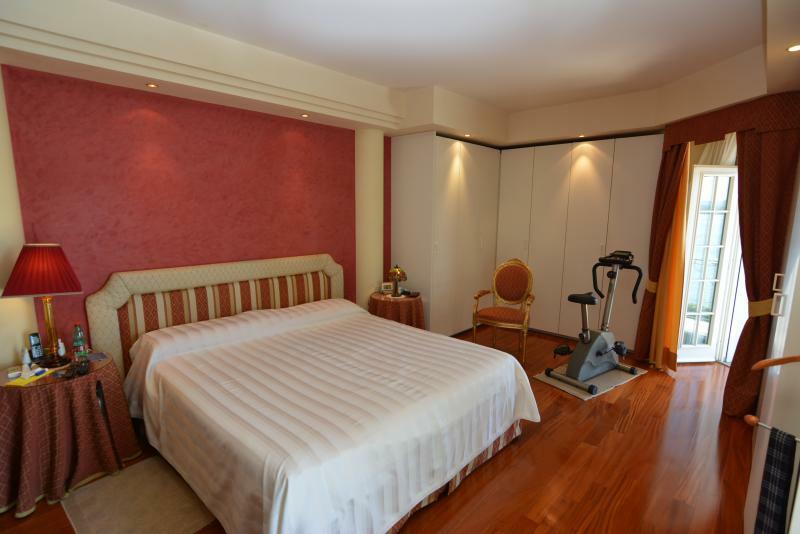 On the floor below (at the pool level): n. 1 single bedroom with bathroom, living room, double bedroom, n. 2 bathrooms, room for staff or guests and laundry. 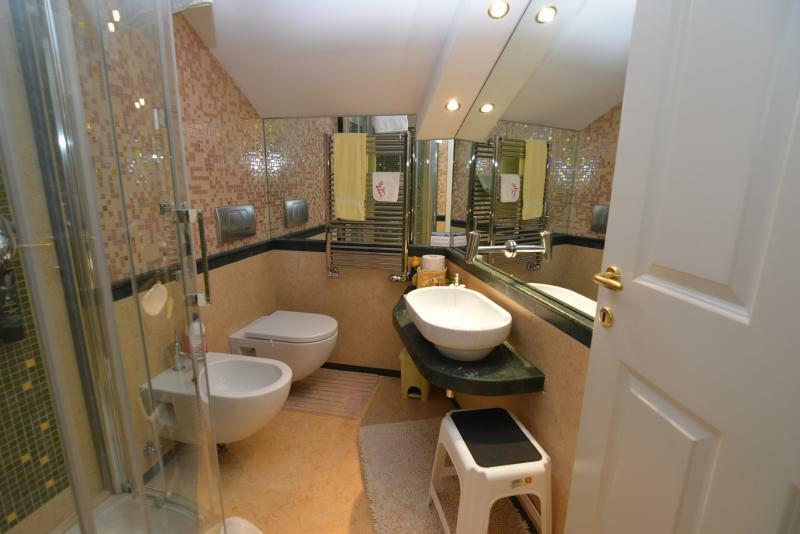 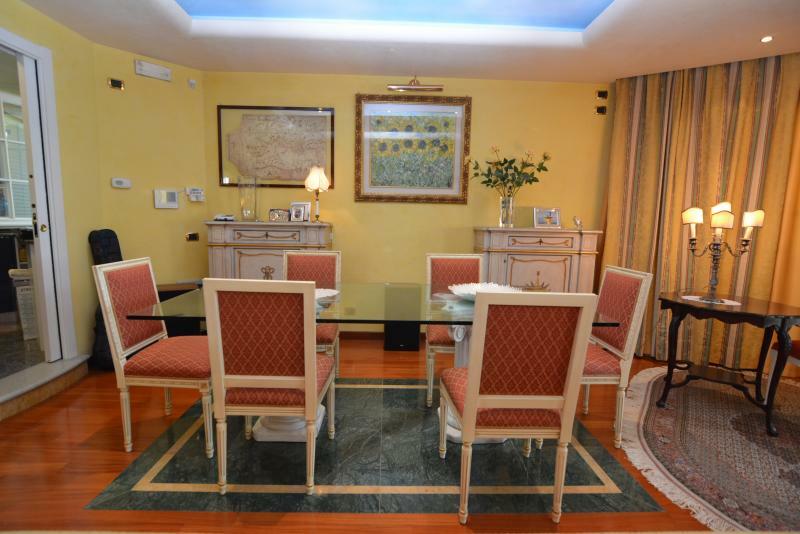 N. 1 additional room, kitchen equipped with pizza oven, barbecue, bathroom.